HOW TO SURVIVE A PLANE CRASH ? In a plane crash and other aviation accidents, this strategy becomes an even greater challenge for the specialists because not always a second scenario will be available. When critical systems of an aircraft suffering an outage that prevents definite minimum operating conditions in flight, there will be no second scenario available. On the other hand, there are many cases where an emergency landing is possible. Also surprising is the amount of aircraft accidents that occur on land. Incidentally, the biggest crash of all time in number of casualties occurred in 1977 in Tenerife, the island of the archipelago of the Canary Islands in Spain. While an aircraft preparing for takeoff, the other taxied across the runway in fog and so both crashed ashore generating a large fire. 583 were killed and dozens injured. Whenever there is an emergency landing or forced by a fall situation, there are also chances of survival. Some information, good training, preparing adequate technical support of the aircraft and by means of rescue can be the difference between life and death. 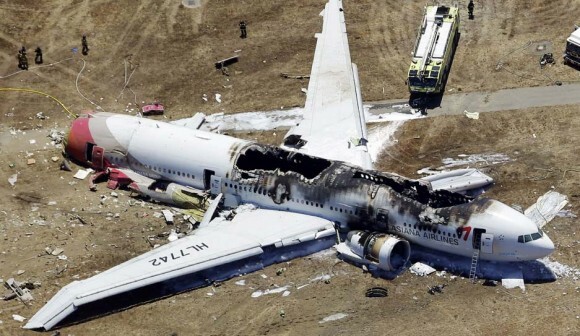 We list below some basic questions related to the chances of surviving a plane crash. WHAT IS THE BASIC PROCEDURE FOR ESCAPE AND ABANDONMENT OF COMMERCIAL AIRCRAFT? There are two types of emergencies that can generate evacuation operation of commercial aircraft: emergency prepared; emergency not evident. In the first case the commander determines to carry out an emergency landing and calls on commissioners to prepare the passengers and the cabin for landing. This preparation may include removing watches, rings, earrings to avoid possible injury. Are distributed blankets and pillows to help one reduce the bruises and shock. All loose objects in the cabin should be collected and stored in drawers or placed in a single bathroom that should be locked. Each aircraft door should have a responsable commissioner. After the emergency landing, the commissioner will be positioned to assess whether there is smoke, fire or any prohibitive factor that does not allow the use of the door to the escape operation and abandonment. Verified the availability of the door and if it is confirmed that is not possible to use it, the responsable commissioner shall remain at the door directing passengers to other doors in use. If the door is operational, the commissioner will open it, drive the slide if it is available, and release the cables that passengers can use to hold and access the slide. Shoes and sharp objects should be discarded to avoid damage to inflatable parts. When leaving, people should move away from of the aircraft in the first moments. In case of a not evident emergency, there is no prior preparation for landing but the commissioners should try to meet the same procedures described for the door control. PROCEDURES OF ABANDONMENT SAVES LIVES OR ARE REALLY JUST PROCEDURES REQUIRED BY LAW? The procedures actually saved many lives in various accidents. 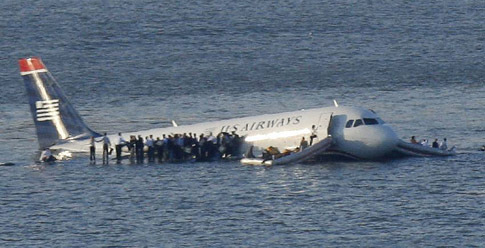 Two of the most recent cases were the emergency landing of U.S. Airways Flight 1549 (2009), when all 155 occupants were saved after a contact of the aircraft with the icy waters of the Hudson River, NY. 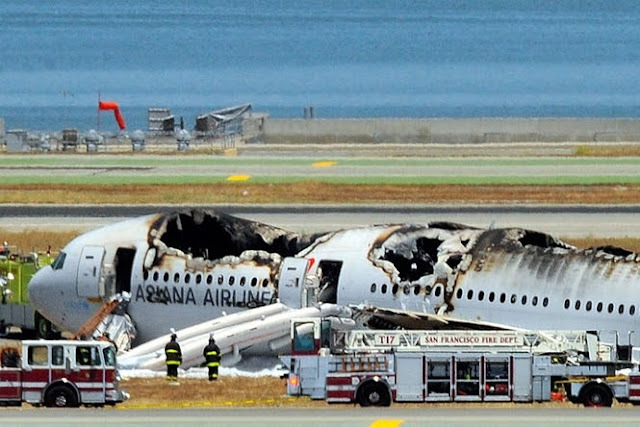 Another successful case was the forced landing of the Boeing 777 Asiana Airlines Airport in San Francisco, USA (2013) in which almost all of the 307 occupants were able to leave the aircraft before a major fire destroyed it completely. WHAT IS THE ROLE OF COMMISSIONERS IN ESCAPE AND ABANDONMENT OPERATION ? The commissioners have a vital role to the success of the escape and abandonment operations and also in the post abandonment, which may require survival at sea, in the jungle or in other hard to reach areas. If anyone thinks that the presence of commissioners on flights is just a parade of courtesy, distributing comfort items and food, are very much mistaken. Just note that some flights do not even offer food as a strategy to reducing prices but keeps the commissioners because they are essential for safety. They are trained to only open the doors that can actually save lives, know the equipment, know where the resources are located and know how to use the survival items optimizing their consumption. IS THERE A SAFER LOCATION OF SEAT TO TRAVEL ON A PLANE ? Could exist if the passenger had anticipated certainty about all the details of the accident would happen in flight. But if it were possible to know this, obviously the intelligent decision would not fly. If there is an operation of escape and abandonment, being closest to the emergency doors adds advantage for survival because every second can make a difference. One recommendation is adopted by some experts to be seven rows away from the emergency door. Normally aircraft are already constructed in such a way that, when we were more than seven rows away from an emergency door, just look at the other side and realize another door with less than seven rows away. But it is also important to remember that no accident is the same as another, and even the emergency doors can become the cause of accidents in flight. In a scenario like this, the door becomes the danger, may cause sudden depressurization of the cabin and in extreme cases may even eject unbelted passengers from the aircraft. Worse, the seats closest to the door rugged can be plucked and sucked out of the plane, including a passenger, and these kind of accident have been registered in Brazil. 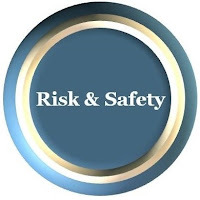 More important than the position of the seat, the greatest safety solution means understanding prior the escape and abandonment plan, observe the evolution of unusual events and react promptly seizing the guidelines of the crew. WHICH EMERGENCY DOORS WORKS BETTER ? In case of a water landing is most likely that the central portion along the wings become more suitable for the abandonment. At first, people may go out by emergency door on the wings and still have these wings to organise people before jumping into the water. Generally, the aircraft that lands on the water begins to be flooded by the front or the back, so theoretically the flood take longer to reach the central part along the wings. On the other hand if the landing is on the ground or in tree canopy, region along the wings is precisely the one that contains the greatest volume of fuel and are more likely to catch fire. So there is no definitive rule. The most important is to understand the abandonment plan well, and observe the evolution of emergency to act correctly, regardless of what the position of the passenger on the aircraft. INFRASTRUCTURE OF AIRPORTS CAN HELP ? When the emergency is prepared, the commander recognizes the need for an emergency landing and it can be done in an airport runway. Besides the preparation of passengers and cabin of the aircraft are started, and the ground teams like firefighters, the support boats, ambulances and other resources, are positioned strategically on track. They are trained for this type of operation. When the commander declares emergency he also begins the preparations of the teams on the track, where the specialized fire trucks at high speed will be ready to follow the aircraft from the first point in the plane touches the runway. If necessary, a layer of special foam is also launched to prevent a fire if the aircraft needs to land "belly". When there are rivers and sea nearby, boats are powered preemptively for a possible rescue. WHAT IS THE BEST STRATEGY TO SURVIVE AN AVIATION ACCIDENT ? 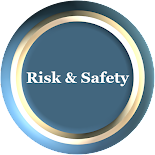 Not only in case of crash, but for any case of an accident, which extends over the chances of survival is the degree of awareness and knowledge about the facts that are occurring during the emergency. As in accidents events are fast and astonishing, is not possible for a person to prepare well during the emergency itself. At this time, the more information earlier, more chance to survive. Then, follow the instructions at the beginning of the flight, carefully read the cards for guidance on emergency exits, look for signs of smoke, fire, noise, observe and report any abnormalities to the crew, all of this will help to have a better attitude in time of emergency . Instructions on how to use the masks in case of decompression, how to use floats and vests, remember that the temperature and smoke are worse in the higher parts of the airplane, to prioritize life rather than insist on carrying objects and bags, all it can be considered lifesaving information and good attitudes . 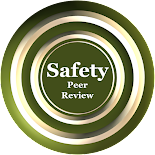 It is also critical to provide a collaborative behavior, because if each passenger think only on themselves, probably the number of fatalities will be higher. In some types of serious accident, it may seem that every person has very little to do. But in many other types of emergencies, prior knowledge, a basic plan, a lot of attention and a positive attitude are aspects that can help increase the chances of survival. QUEDA DE METEORO OU METEORITO ? Acidentes envolvem sempre algum componente de imprevisibilidade e surpresa. Quase sempre não é apenas uma mas são várias causas que contribuem para que um acidente ocorra. Para que os acidentes possam ser evitados, os investigadores buscam em seus relatórios a identificação da chamada causa raíz, aquela que foi a mais decisiva para que o evento chegasse às consequências indesejáveis com vítimas, perdas ambientais e materiais. Neste contexto, uma estratégia importante é classificar os acidentes para permitir o estudo das medidas de proteção conforme os pontos de semelhança entre cada causa raíz. Origem Operacional: quando a origem está numa ação operacional errada. Origem de Projeto: quando a origem está num erro de projeto ou conceitual. Origem de Construção e Montagem: quando a origem está num erro ocorrido durante a construção ou montagem. Origem de Manutenção: quando os cuidados necessários para manter equipamentos e instalações em conformidade com o projeto original não são cumpridos originando o acidente. Origem Externa: quanto uma influência completamente alheia ao escopo do projeto é a causa que origina o acidente. A origem externa pode ser, por exemplo, uma catástrofe natural (terremoto, enchente, furacão, raios, meteoritos, etc) ou um ato hostil (sabotagem, queda intencional ou não intencional de aeronave, ataque militar, atentado terrorista, etc). No caso das consequências geradas por um meteoro que invade a atmosfera terrestre, ou um meteorito que atinge o solo terrestre, a classificação imediata é como um acidente de origem externa. Um exemplo clássico, similar, de acidente de origem externa é a descarga atmosférica ou raio. O Brasil é o país do mundo que possui a maior incidência de raios. Mesmo nos países onde os raios não acontecem com tanta frequência, ainda assim os danos causados por uma descarga atmosfera são considerados tão elevados que tornam obrigatório o uso de equipamentos de proteção como para-raios. Também existem proteções contra terremotos, maremotos, furacão mas estas são incluídas nos projetos quando a frequência destes eventos as justificam. Na realidade a decisão sobre incluir um sistema de proteção contra um tipo de acidente de origem externa irá depender da conjugação de dois fatores principais: a frequência de ocorrência do evento e as suas possíveis consequências. Utilizando ferramentas de análises de riscos, os especialistas primeiro identifcam os potenciais cenários e perigos que podem ocorrer ao longo da vida útil do projeto. Através de uma matriz de classificação de riscos os especialistas identificam aqueles perigos que ocorrem com grande frequência e/ou aqueles com consequências muito severas e catastróficas. Estes perigos e cenários, uma vez identificados, passam a ser estudados e os engenheiros projetam meios de proteção para reduzir suas consequências. O perigo propriamente dito muitas vezes é impossível de ser evitado, pois este pode ser de origem externa, estando fora do controle dos engenheiros e projetistas. Sistemas de segurança podem ser criados para reduzir as consequências catastróficas que estes perigos inevitáveis possam ocasionar em caso de acidente. A freqência de acidentes com fatalidades, feridos, danos materiais e ambientais por eventos devido a meteoros e meteoritos é muito baixa. Embora possamos dizer que se um único objeto de origem espacial, com um tamanho significativo pode até destruir o planeta, a frequência desse evento é baixíssima considerando-se os padrões de análise atuais. Outros fenômenos igualmente fora do controle do ser humano como descargas atmosféricas (raios), terremotos, maremotos, enchentes recebem tratamento mais rigoroso por parte da engenharia por causa de sua frequência significativa. Com relação aos meteoros e meteoritos, o fenômeno ocorrido em fevereiro de 2013 serviu para estabelecer mais um registro. O meteoro que atingiu a Rússia foi mais uma ocorrência para compor as estatísticas e lembrar que apesar da baixa frequência, dependendo do tamanho do objeto, as consequências podem ser inaceitáveis merecendo tratamento adequado por parte dos engenheiros gerenciadores de riscos. Isso já acontece no caso de proteção contra terremoto nas usinas nucleares, mesmo em locais onde não haja frequência significativa deste tipo de fenômeno. Também podemos citar o caso das inúmeras medidas de segurança anti-terrorismo após a queda do World Trade Center em New York. O ato terrorista é um típico acidente de origem externa, embora não seja uma catástrofe natural. Assim também como os atos de sabotagem. 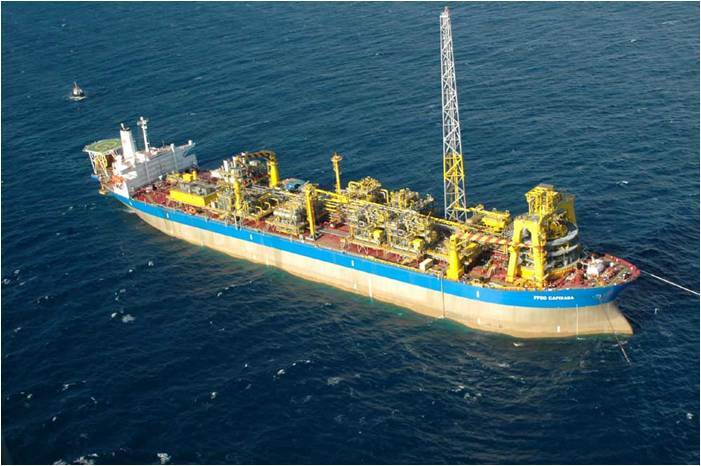 Outro exemplo é o projeto estrutural de plataformas de petróleo que operam em alto mar. Elas são projetadas para resistir às chamadas ondas centenárias (as maiores possíveis em 100 anos). Usinas nucleares também são protegidas contra queda intencional ou não intencional de aeronaves. Mesmo os projetos de usinas nucleares datados de antes de 11 de setembro de 2001 já consideravam esse nível de proteção e para isso algumas usinas nucleares possuem uma contenção externa com cerca de 70 cm de concreto especial e mais outra contenção com 2,5 cm de espessura, de aço, para proteger as partes vitais de acidentes com liberação de material radioativo. Evidentemente, cada proteção a mais representa custo e, muitas vezes, um custo inviável. Quanto aos riscos devidos a meteoros e meteoritos, o que a engenharia de gerenciamento de riscos tem a oferecer é a análise de todos estes fatores relacionados com a frequência e a severidade destes fenômenos naturais e assim tratar o tema dentro do realismo em termos de engenharia, viabilidade econômica e dados históricos. Na proximidade de ocorrência dos eventos acidentais envolvendo meteoros e meteoritos, a tendência natural é de se investir em estudos e em sistemas de proteções. Com o afastamento temporal das ocorrências destes fenômenos, a tendência é considerar as estatísticas, equilibrar os custos e benefícios e acima de tudo, considerar o fato inegável de que os riscos, ainda que com suas consequências bem tratadas, jamais estarão completamente eliminados de nenhuma atividade humana. Neste momento, quando recentemente ocorreu um impressionante evento acidental originado por um meteoro, muitas iniciativas e ideias poderão ser alvo de estudos e avaliações por parte das autoridades e especialistas. Mas a sustentação econômica de projetos de sistemas de proteção contra meteoros e meteoritos, bem como sua construção e montagem, precisarão resistir aos longos períodos sem acidentes desse tipo até serem efetivamente implementados. Análise Preliminar de Riscos APR - Técnica que identifica os perigos do local através de uma reunião prévia com a participação de pessoas que tenham experiência em trabalhar nesse tipo de local (gerente, atendente, segurança, técnicos de manutenção), além dos responsáveis pelo projeto e um engenheiro de segurança que conheça a técnica de APR. O resultado será um relatório contendo uma lista com os potenciais perigos existentes na instalação. Análise de Consequências – Com base no relatório da APR, esta técnica também reúne grupo de participantes similar para identificar os cenários acidentais relacionados com cada perigo citado no relatório da APR. O resultado da análise de consequências é um outro relatório descrevendo as consequëncias e as contramedidas previstas para cada cenário acidental postulado. · Estabelecimento de um percentual do terreno como “área de escape” no entorno de todas as portas de acesso da edificação. Estas áreas de escape precisam ter capacidade para comportar todas as pessoas que estejam no evento (lotação máxima). Os cuidados dos seguranças patrimoniais para evitar a saída sem pagamento e tentativas de entrada indevidas nos eventos ("penetras") deveriam se restringir aos portões externos do estabelecimento. Em outras palavras, boates estabelecimentos similares com uma grande concentração de pessoas devem ficar em centro de terreno de modo que as saídas de emergência possam permanecer totalmente disponíveis, sem nenhum tipo de controle que possa retardar a saída durante um sinistro. Estas áreas de escape devem existir para cada saída de emergência e não podem conter os chamados "currais" e guarda corpos os quais podem dificultar a operação de escape e abandono. Sistemas de escape e abandono projetados através de cálculo que permita a definição clara do tempo máximo para evacuação do estabelecimento. Apresentação de evidências objetivas de compatibilidade desse tempo com os resultados dos Estudos de Análise de Consequências. Resumo de segurança com apresentação continua ou em intervalos regulares através de telas/monitores de LCD posicionados e dedicados exclusivamente para esse fim durante todo o evento. Rotas de fuga e portas de emergência continuamente sinalizadas com luzes indicativas mesmo em casos de falta de iluminação pública e com intensidade suficiente mesmo havendo fumaça, inclusive cenográfica. Sistema de geração elétrica de emergência com autonomia para pelo menos 4 horas sem reabastecimento. Barramento elétrico de emergência para atender cargas essenciais e de segurança como equipamentos do sistema de combate a incêndio. Desde a o início da operação de Usinas Nucleares, os três mais importantes acidentes aconteceram distribuídos dentro de um intervalo de mais de 30 anos. Mesmo assim, alguns países como a Alemanha e o Japão estão recuando e desistindo de priorizar as centrais nucleares em sua matriz energética. Centrais nucleares são projetas com até 6 camadas de segurança para proteger o ambiente externo de acidentes com a liberação de radioatividade por perda de refrigerante do reator. Estes acidentes são os mais temidos pelos projetistas de centrais nucleares e são conhecidos pela sigla em inglês “LOCA” (Loss-of-Coolant Accident). Por serem tão fundamentais para a segurança de um projeto de central nuclear, o LOCA também é chamado de “acidente básico de projeto”. É o acidente para o qual todo o projeto é direcionado para evitá-lo. Outros acidentes também podem gerar a liberação indesejável de radioatividade para o meio ambiente, mas o que estabelece maior risco e maior quantidade de radioatividade liberada em curto espaço de tempo é o LOCA. Talvez seja necessário reconhecer que a ciência e a tecnologia ainda não estão totalmente preparadas caso centrais nucleares sofram acidentes dessa gravidade, mesmo que raros. O conceito de “risco zero” de acidente nuclear se reforça. E “risco zero” significa em termos práticos a não aceitação de risco, ou seja, a não aceitação de centrais nucleares. Se isso ainda não foi viabilizado no Japão, o mais provável é a falta de opção imediata. Para os países que possuem opções alternativas para suas matrizes energéticas como o Brasil, Alemanha e Suécia o “risco zero” é viável e depende da parcela de subjetividade sempre presente em toda decisão por aceitação ou não de um risco. 100 anos se passaram e fica a certeza de que grandes naufrágios habitam o inconsciente coletivo reforçando imagens universais que existem desde os tempos mais remotos. O desafio de navegar é tão antigo que nem é possível precisar como e quando exatamente o homem iniciou sua jornada pelas águas. Mas é fácil reconhecer que a simples visão da imensidão do mar desperta sentimentos desafiadores. Vários fatores formam a idéia de desafio associada à navegação, seja a natural vontade de ver além do horizonte, o medo do desconhecido, a possibilidade de que algo melhor possa estar do outro lado das águas, a possibilidade do isolamento, da solidão em alto mar, a energia e o poder das ondas e tempestades, a presença de baleias, tubarões, cardumes. Alguns relatos históricos chegam a imaginar cidades e civilizações subaquáticas, tesouros perdidos e monstros assustadores. Navegadores vislumbram conquistas e temem derrotas, buscam sucesso e temem o fracasso, confiam no porto seguro e temem o naufrágio, sempre encontrando nas águas o pano de fundo para a busca da superação. O mar e os céus talvez sejam os maiores desafios explícitos e objetivos para a curiosidade humana. Não precisam de palavras nem de uma cultura específica para serem compreendidos como tal. Simplesmente apontam para nossos limites, tanto para os limites físicos como os do conhecimento. Se observarmos o dia a dia, tais sentimentos fazerm parte de diversas situações nas vidas das pessoas e o desafio das águas apenas nos coloca frente a frente, de forma objetiva com uma realidade que se repete incessantemente a cada momento: nossas limitações. Acidentes aéreos e naufrágios parecem causar sentimentos especiais sobre as pessoas. Muitas vezes, acidentes rodoviários e ferroviários causam um número de fatalidades superior mas parecem não exercer o mesmo poder de chamar a atenção, despertar o interesse, nem de gerar tanto questionamento. Talvez seja mais fácil entender e aceitar que uma composição de vagões possa descarrilhar e perder o rumo do que um navio naufragar ou um avião cair. Não há nada de lógico nisso mas há muitos sentimentos coletivos que ampliam a magnitude de alguns tipos de acidentes. Teoricamente deveria ser o contrário, pois os céus e o mar são habitats naturais para outras espécies e nossa presença lá obviamente seria “menos natural” e os acidentes menos surpreendentes. Não é isso que acontece. Especialmente o mar, por ser um desafio perseguido por séculos por nossos antepassados, parece gerar no inconsciente coletivo uma reação diferenciada quanto aos acidentes navais, nos atingindo em relação a nossa real capacidade de superação de limites. Pode haver no inconsciente coletivo qualquer coisa de “ponto de honra abalado" que diminua nossa autoconfiança na tecnologia quando um naufrágio acontece. Qual a importância disso para o Gerenciamento de Risco ? É muito importante para os gestores entender que estes aspectos subjetivos ou “arquétipos”  que compõem a parte submersa do “Iceberg da Cultura de Segurança”. Justamente aquela parte que fica oculta onde residem os fatores mais importantes para que as pessoas, organizações e sociedades tomem decisões sobre a aceitação ou não de determinado risco. Acidentes aéreos e naufrágios simbolizam um questionamento sobre a sensatez de desafiarmos os limites além de nosso habitat natural. Esse questionamento é registrado e guardado pelas pessoas como parte de sua experiência e entendimento. Esse conjunto subjetivo exerce grande influência na aceitação de riscos de cada pessoa ao longo da vida, sejam os pessoais como os profissionais. Talvez os naufrágios tenham um peso ainda maior do que os acidentes aéreos pois existem desde a antiguidade, incomodando e construindo o inconsciente coletivo das pessoas há mais tempo, em relação à aceitação ou não de riscos. Titanic e Costa Concórdia são um exemplo da importância dessa influência. O Titanic transformou-se de símbolo de capacidade tecnológica em símbolo de fracasso tecnológico em apenas uma noite, 15 de abril de 1912 quando naufragou com mais de 1500 vítimas fatais. Hoje em dia, praticamente em todo o planeta o nome Titanic significa “algo que deu muito errado”. O desastre do Titanic tem muitas versões fantásticas que complementam as evidencias objetivas e históricas, mas estas versões não devem ser totalmente desprezadas porque de fato fazem parte do “Iceberg da Cultura de Segurança” e portanto influenciam também na predisposição das pessoas em aceitar ou rejeitar riscos, mesmo que todos saibam que tais versões não sejam verdadeiras. 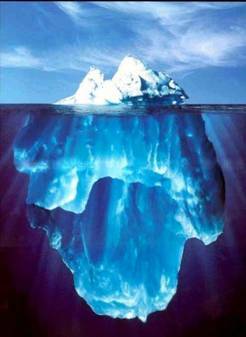 Quando citamos o modelo do “Iceberg da Cultura de Segurança”, lá na origem desta ilustração tavez esteja também incluída a informação registrada no inconsciente coletivo de que icebergs ocultam riscos e afundam navios. 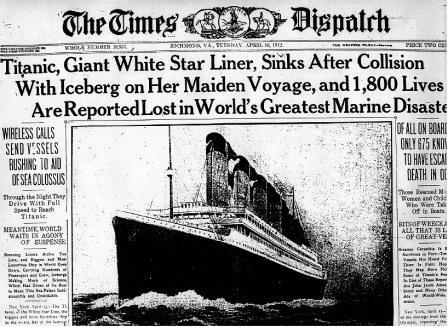 Já o naufrágio do Costa Concórdia, ocorreu quase exatamente 100 anos depois, em 13 de janeiro de 2012, justamente quando o emblemático naufrágio do Titanic está sendo mais relembrado. O naufrágio do Titanic não foi o maior e mais dramático da história e muitos outros desastres de mesmas e até maiores proporções ocorreram nesses 100 anos (Kichemaru, The Empress of Ireland, Montblanc, Wilhelm Gustloff, Estônia e muitos outros) mas nenhum ficou tão registrado no inconsciente coletivo das pessoas como o Titanic. O número de vítimas fatais do Costa Concórdia foi de 32 pessoas, mas a repercussão e o impacto do acidente no inconsciente coletivo somou-se aos efeitos dos 100 anos de influência exercida pelo Titanic. 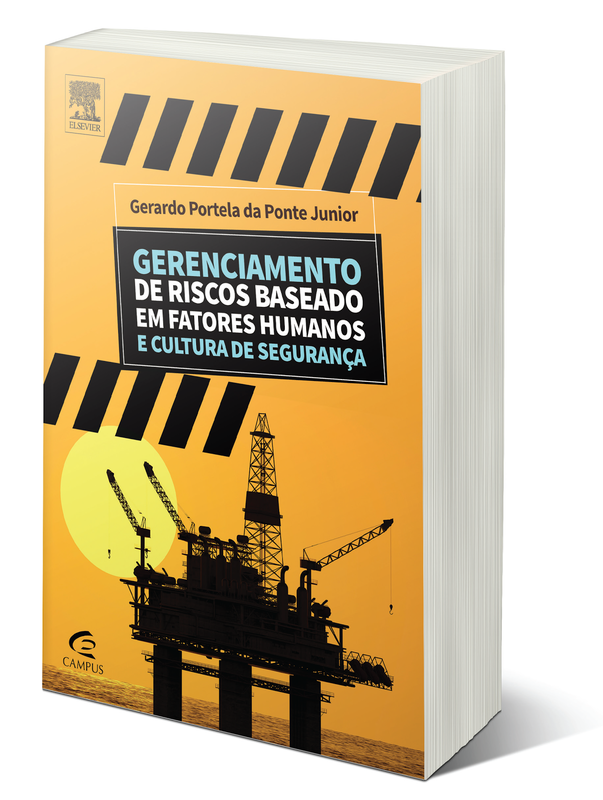 Uma série de questionamentos sobre a navegação foram levantados, em especial sobre os aspectos de segurança offshore. Em ambos os acidentes há indícios de que houve falta de liderança e organização no momento de tomar a decisão de abandono do navio. No caso do Titanic os relatos conduzem a uma figura do Capitão em estado de choque, sem reação, enquanto que no Costa Concórdia existe a suposição do Capitão ter retardado decisões fundamentais perdendo a janela de tempo de tomada de decisão pelo abandono da embarcação. Muitos pensam que essa é uma norma ou regra de segurança offshore, mas não é verdade. Em alguns países esse conceito de permanência está ofcializado nas regras, em outros não. 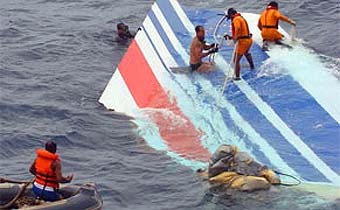 É fato que esta é uma das expectativas das pessoas, que o Capitão seja o último a abandonar o navio. No caso do Titanic o Capitão não sobreviveu e isso preservou esse paradigma de permanência do Capitão até o fim. Não podemos afirmar com exatidão se isso ocorreu conscientemente ou pelas circunstâncias, mas o paradigma foi mantido. Já no caso do Costa Concórdia, o Capitão abandonou a embarcação antes da operação de abandono ter sido encerrada, como se fosse uma pessoa a mais a tentar sobreviver (e não era ?). Ele, mesmo que não fosse obrigado por normas a ser especificamente o último a sair, era o responsável principal pela operação de escape e abandono e aparentemente não cumpriu sua obrigação. A mais forte influência sobre o inconsciente coletivo das pessoas sobre o acidente, é que o Capitão não cumpriu seu “script”, ou seja, a história que tem sido narrada há um século sobre o que aconteceu com o Titanic incluía o personagem do Capitão que permaneceu no navio e afundou com ele, pagando inclusive pelos seus possíveis erros, mas essa parte da história do Titanic não foi bem desempenhada pelo Capitão do Costa Concórdia. A história do Titanic é muito famosa, conhecida e talvez esperada de ser repetida por aqueles que conscientemente ou não, comparam os dois acidentes. No caso do Titanic não tiveram uma participação muito relevante, exceto quanto aos alertas sobre a presença de icebergs na rota, os quais foram ignorados pelo Capitão o que se tornou uma das causas diretas do acidente. Mas no acidente com o Costa Concórdia a autoridade marítima da Capitania dos Portos teve uma papel de destaque. Ao contactar o Capitão do Costa Concórdia e ser informado por ele que o abandono estava em andamento e que ele, o próprio Capitão estaria já fora do navio sendo resgatado para terra, a autoridade da Capitania dos Portos se indignou e proferiu ordens carregadas de emoção e energia tentando convencer o Capitão a retomar para cumprir sua missão. Isso conquistou a opinião pública e alguns passaram a considerar a autoridade da Capitania dos Portos um verdadeiro herói, mesmo não tendo em nenhum momento retirado os seus pés de terra firme. Analisando o episódio sob a perspectiva puramente técnica, a autoridade da Capitania dos Portos demonstrou estar tão despreparado quanto o Capitão do Costa Concórdia para a emergência. A autoridade em terra deveria sim tentar mostrar ao Capitão o equívoco que estava cometendo ao deixar o comando da operação de abandono, mas o compromisso maior da Capitania dos Portos deveria ser salvar as vidas das pessoas no local do acidente. Ou seja, se a autoridade da Capitania dos Portos estivesse realmente bem preparada iria identificar que o Capitão não tinha naquele momento capacidade técnica, emocional ou comportamental para exercer suas obrigações e por isso a Capitania dos Portos deveria estabelecer uma nova liderança imediatamente. Deveria por exemplo, ele próprio, ao invés de agir emocionalmente querendo fazer o Capitão trabalhar na base do grito, assumir o comando da operação de abandono, e se necessário ir ao mar com os recursos da Capitania dos Portos, uma vez que o navio estava muito próximo à costa. A condenação, as sanções tanto administrativas como criminais aplicáveis ao Capitão deveriam ser foco das atenções num segundo momento, e não em meio ao resgate de centenas de pessoas sem comando e sem liderança sendo realizado durante a noite no mar. O naufrágio do Titanic ocorreu em alto mar com temperaturas fatais para a sobrevivência na água. Já o Costa Concórdia sofreu avaria numa região muito próxima ao litoral, podemos dizer privilegiada em termos de recursos de resgate. Isso foi decisivo para fazer a diferença no número de sobreviventes nos dois acidentes. O número de embarcações de salvamento do Titanic era inferior ao número de passageiros. Não havia lugares nas embarcações de salvamento para todos. Tais equipamentos eram extremamente limitados e com muitos problemas técnicos principalmente quanto aos meios de lançamento ao mar (turcos). Na época a regulamentação técnica vinculava o peso do navio com o número de embarcações de salvamento obrigatórias. Engenheiros alertaram a empresa responsável pelo Titanic dos problemas, tanto dos turcos de lançamento quanto da quantidade de embarcações, mas a empresa optou por cumprir as regras de segurança vigentes e incluiu apenas 16 embarcações de salvamento no Titanic, suficiente para atender apenas 33% das pessoas a bordo. É preciso ir muito além do cumprimento de regras e normas para se alcançar a segurança. Depois do acidente, uma reformulação completa das normas de segurança marítmia ocorreu. 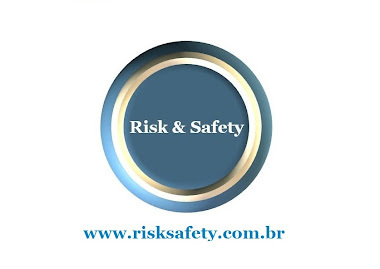 Foi criado o SOLAS (International Convention for the Safety of Life at Sea) que estabeleceu regras muito mais consistentes sobre equipamentos de sobrevivência em situações de emergências marítimas. Estas regras promoveram uma evolução das embarcações de salvamento, dos turcos e demais equipamentos de segurança ao longo destes 100 anos pós Titanic. 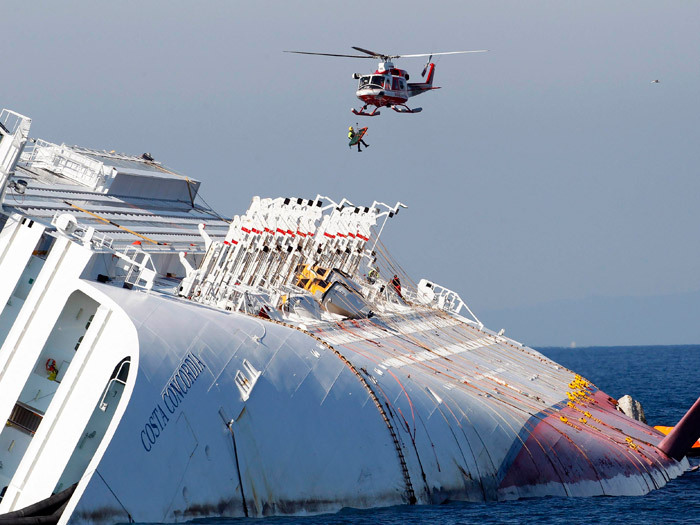 Um século depois, o Costa Concórdia era equipado com embarcações de salvamento e turcos de última geração e em quantidade suficiente para atender pelo menos 125% da quantidade de passageiros e tripulantes. O problema mais crítico é que tais embarcações só podem ser lançadas até uma inclinação máxima do navio e essa inclinação é atingida após uma janela de tempo desde o início do acidente. O Capitão sempre deve avaliar a situação e iniciar o abandono dentro da janela de tempo disponível para lançamento das embarcações de salvamento, antes que se torne impossível a operação de abandono, como aconteceu no Costa Concórdia. Outro aspecto importante é lançar as embarcações de salvamento totalmente lotadas. Se as primeiras embarcações forem lançadas com lugares vazios, no final poderá faltar lugares para as pessoas nas últimas embarcações a serem lançadas. Isso aconteceu no Titanic. Em ambos os acidentes há críticas ao posicionamento das empresas responsáveis pelos navios. No caso do Titanic as acusações são de ordens para seguir viagem a todo custo e o estabelecimento de um ambiente de euforia e excesso de auto confiança. Já com relação ao Costa Concórdia as acusações são de se querer fazer propaganda do navio fazendo-o navegar por regiões incompatíveis com sua classe e porte. Certamente grande parte da parcela de responsabilidade por ambos os acidentes pode ser atribuída com justiça às empresas responsáveis por ambos os navios. Mas alguns dos produtores e diretores de filmes sobre o Titanic em Hollywood, quando indagados sobre algumas acusações até então desconhecidas contra a empresa responsável pelo Titanic as quais foram incluídas nas últimas versões do cinema, responderam que mesmo não havendo base no histórico do acidente, tais possibilidades são pisicologicamente tão interessantes tanto para quem conta como para quem assiste a narrativa do acidente, que eles como produtores e diretores de Hollywood não poderiam deixar de cair na tentação de incluí-las, mesmo com certa dose de irresponsabilidade em relação à fidelidade histórica. Mais uma ampliação dos efeitos do naufrágio sobre o inconsciente coletivo das pessoas. O naufrágio do Titanic teve imensa repercussão em sua época e continua tendo mesmo 100 anos depois. Houve uma completa reformulação das regras de segurança depois do acidente que na realidade foi o início de um processo de evolução da segurança marítima. Apesar de ter aconcecido há mais de um século atrás, o Titanic está fortemente presente na mídia principalmente por cerca de 8 filmes de longametragem com versões de sua história. Já o impacto do naufrágio do Costa Concórdia foi ampliado pelo fato do acidente ter ocorrido muito próximo da costa, com acesso fácil dos veículos de comunicação de massa, em local de grande interesse turístico. Um outro fator que colaborou para a repercussão do acidente foi justamente a analogia imediata com o mais famoso naufrágio do mundo, Titanic. Ambos com passageiros desfrutando do luxo e sofisticação dos melhores transatlânticos de sua época. Ambos com personagens e atores executando seus “scripts”. Ambos associáveis a dúvida de cada pessoa sobre a capacidade humana de superação dos limites naturais. A principal lição dos naufrágios é que temos limites em relação à natureza e nunca devemos subestimá-los. Isso é tão forte que faz parte de nosso inconsciente coletivo. E serve não apenas para navios, mas para qualquer empreendimento tecnológico que o homem pretenda fazer. Espera-se mais da segurança de aviões do que de outros equipamentos ? A falha de um instrumento básico de indicação de velocidade pode parecer muito mais complicada do que realmente é quando este equipamento faz parte de uma aeronave. As pessoas tem cristalizado em sua cultura geral que tudo numa aeronave é complexo, sofisticado e difícil de ser operado. Quando se fala em comandar uma aeronave, a imagem do cockpit cheia de indicações, relógios, botões vem logo a mente e faz com que as pessoas acreditem que as atividades dos profissionais na cabine de um aviáo sejam para "super homens". Essa percepção é irreal, pois toda aquela complexidade foi projetada e testada para ser operada por pessoas normais. Aliás quanto mais normal, melhor será o operador. Visão normal, audição normal, coordenação normal, racicínio lógico normal, etc etc são os fatores relevantes do perfil de um bom operador ou piloto. O perfil dos melhores operadores e pilotos é muito mais um conjunto de normalidades equilibradas e confiáveis do que uma lista de super habilidades atípicas e imprevisíveis. 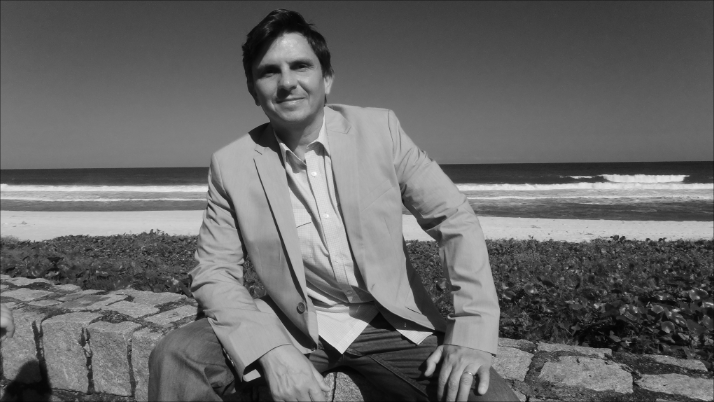 O pesquisador britânico da área de Fatores Humanos James Reason, abordou o tema sob três perspectivas: psicológica comportamental, cognitiva (informação) e natural (orgânica). Segundo Reason, pela abordagem natural do erro humano, a memória primária do homem é a responsável pela percepção imediata. Mas a quantidade de itens memorizáveis depende se houver ou não a associação entre esses itens. O limite na quantidade de itens memorizáveis pela memória primária sem associação entre si (ou seja, sem confundí-los), segundo James Reason, é de no máximo sete itens. Por isso em geral as salas de controle de usinas nucleares, cockpits de aeronaves e outras estações de controle, são projetadas para requerer o gerenciamento máximo de 6 informações simultâneas e diretas durante uma emergência (funções críticas de segurança). Um sétimo canal de informação fica em aberto para a comunicação externa. Pelo menos essa seria a condição correta a ser definida em projetos de salas de controle e cockpits. Há uma grande confusão entre as dificuldades do longo caminho de preparação e estudo até que uma pessoa possa trabalhar num cockpit de aeronave, e as atividades que são demandadas no comando ou pilotagem de uma aeronave. O estudo e preparação exigem muita dedicação, persistência e habilidades que podem sim parecer tarefa de “super homem”, mas pilotar ou comandar uma aeronave deve necessariamente ser uma atividade natural e tranquila para aqueles que realmente chegaram até o cockpit de comando devidamente preparados. Se ficam confusos, nervosos ao ponto de perderem os canais de percepção então ou não foram preparados para a função, ou a aeronave foi mal projetada, ou ambos. Considerando isso, pilotar um avião ou dirigir um automóvel pode exigir demandas congnitivas e motoras semelhantes e responsabilidades iguais sobre vidas humanas. Poderíamos então perguntar: se o velocímetro do seu carro quebrasse no meio de uma viagem, isso seria motivo justificável para você bater num poste ou cair num precipício matando todos os passageiros ? Guardadas as proporções técnicas, em termos de gerenciamento de riscos e segurança, aconteceu algo bem semelhante em junho de 2009 com os 228 passageiros do vôo AF 447 que decolou do Rio de Janeiro com destino a Paris. Entenda a comparação: Suponha que o seu carro tivesse um piloto automático que permitisse que você ficasse sentado, na frente do volante, assistindo toda a evolução do veículo pelo trajeto. Por alguma razão o velocímetro parasse de funcionar e o computador que controlasse o piloto automático simplesmente o desligasse por falta de informação sobre a velocidade. Neste momento, você que é motorista e está na frente ao volante, deveria assumir o controle do mesmo bem como do acelerador e do freio passando a conduzír o carro manualmente, sem o uso do piloto automático. Se a falta do velocímetro causasse maiores complicações, você poderia fazer uma parada interrompendo a viagem para corrigir as falhas do equipamento. Caso contrário, mesmo sem o velocímetro e sem ferir o código de trânsito, você como motorista conduziria o carro até seu destino final, talvez com um pouco mais de trabalho, mas em segurança. O que aconteceu no cockpit do voo AF 447 foi uma demonstração de despreparo técnico da tripulação, resultado de uma Cultura de Segurança equivocada capaz de gerar projetos “hi-tech” mas que subestimam a importância do elemento humano na tomada final de decisões em emergências. O tubo de pitot, um instrumento de medição de velocidade bastante conhecido inventado no século XVIII congelou enquanto a aeronave atravessava uma tempestade sobre o Atlântico. O tubo de pitot, é um instrumento relativamente simples que mede a velocidade da aeronave através da comparação de pressões decorrentes do deslocamento de ar e depende que pequenos furos do instrumento estejam desobstruídos para que funcione perfeitamente. Em geral, as aeronaves possuem mais de um instrumento como esse, justamente para o caso de haver falha. Além disso tais instrumentos são mantidos aquecidos por sistemas auxiliares justamente para evitar o congelamento. Lamentavelmente algo falhou e o tubo de pitot congelou bloqueando os orifícios e impedindo a medição de velocidade. Trata-se de um equipamento muito conhecido, e praticamente todos os engenheiros mecânicos construíram um protótipo de tubo de pitot durante sua formação acadêmica nas aulas de laboratório de mecânica dos fluidos. Mas mesmo assim, o equipamento falhou. Mas apenas isso não seria suficiente para derrubar a aeronave. Há inclusive outros meios de se obter a velocidade, mas manter a aeronave em condições mínimas para manutenção do vôo não depende exclusivamente do tubo de pitot. Os sofisticados sistemas de automação que tem se proliferado em nossos tempos desde os eletrodomésticos em nossas casas até as aeronaves, dependem de um volume de dados coletados por uma rede de instrumentação, que inclue por exemplo no caso do Airbus 330 o tubo de pitot. Estes dados são tratados por sistemas lógicos complexos e reduzem a demanda congnitiva daqueles que são responsáveis pelo controle do equipamento (pilotos). Mas isso não significa que tais operadores, ou no caso, os pilotos possam abrir mão do conhecimento técnico necessário para conduzir o equipamento em situações de emergência, onde o ingrediente “imprevisibilidade” sempre está presente. Para lidar com a “imprevisilidade”, sempre presente nas emergências, nada melhor e mais sofisticado do que o cérebro humano bem preparado, capaz de medir consequências, considerar aspectos subjetivos e imprevisíveis o que coloca os computadores em um patamar de inferioridade. No voo AF 447 o automatismo no comando da aeronave parou de funcionar por falta de dados sobre a velocidade devido a falha do tubo de pitot. Os pilotos atualmente passam a maior parte do tempo supervisionando o voo e não de fato pilotando. Os treinamentos também consideram essa realidade gerada pela cada vez maior sofisticação dos sistemas de automação e não prepara suficientemente a tripulação para situações em que, durante uma emergência eles tenham que pilotar a aeronave. Trata-se de um problema de cultura de segurança. Determinadas culturas de segurança, “encantadas” com a inteligência contida nos sofisticados sistemas de automação, acabam por considerar a capacidade humana inferior ao que de fato é, o que é uma falha grave. Mais que isso, os defensores desse grau de automação exagerada que de certa forma minimiza a capacidade da intervenção humana, na realidade supervalorizam o seu próprio trabalho teórico de elaboração e projeto destes sistemas. A inteligência fascina, os sistemas extremamente automatizados formam uma espécie de "registro de inteligência", e encantados com suas próprias obras primas de automação os fenômenos físicos, químicos bem como a imprevisibilidade da natureza são subestimados por alguns projetistas. Há uma ilusão de que os sistemas extremamente automatizados estejam preparados para quase tudo e sejam mais seguros. É apenas uma ilusão, talvez uma vaidade técnica. O que os acidentes ensinam é que a simplicidade é amiga da segurança. Pelos registros da caixa preta e conclusões do relatório final elaborado pelo Escritório de Investigações e de Análises (BEA) da Aviação Civil da França, quando o problema aconteceu a tribuplação do voo AF 447 ficou muito mais preocupada em tentar recuperar a automação da aeronave do que propriamente em assumir as ações de vôo manual e manter as condições mínimas de controle necessárias para manter as condições de voo. Isso pode indicar a possibilidade de “medo de pilotar”, ou "medo de operar" - comportamento típico de operadores que se afastam das atividades de rotina em decorrência de excessiva automação em suas tarefas. Desatentos em relação á visão do “todo” e com o comandante mais experiente ausente da cabine, poucos segundos de confusão foram suficientes para selar o destino de um voo previsto para cerca de 10 horas. Voos de longa duração como esses, na rotina dos atuais pilotos talvez se constituam de cerca de 9 horas de supervisão e uma hora de “real pilotagem”. Uma sucessão de erros de pilotagem básica e a total incapacidade de entender o cenário fizeram com que os Fatores Humanos se alinhassem a uma cultura de segurança pobre desde o projeto, e assim fosse construída uma catástrofe. O que fazer para evitar novas catástrofes como AF 447 ? Depois que uma catástrofe acontece, encontrar inúmeras falhas associadas ao evento não parece tarefa difícil. Principalmente quando elas recaem especificamente sobre aqueles que além de responsáveis, também foram vítimas. De uma forma ou de outra, todo o acidente tem alguma relação com uma falha humana. Mesmo que um eixo ou chapa estrutural da fuzelagem se rompesse, pelo menos um erro humano relacionado com a manutenção, gestão ou projeto original teria sido cometido. Portanto todo acidente envolve erro humano. O pior é que o erro humano é mesmo inevitável, pela natureza bem conhecida dos seres humanos. A solução de gerenciamento de riscos que permite a elevação da segurança é reduzir ao máximo os fatores que possam propiciar o erro humano, para que quando este venha a acontecer não chegue a provocar uma catástrofe como aconteceu com o AF 447. Indo mais além, é preciso desenvolver uma cultura de segurança onde os projetos de automação tenham limites de complexidade, uma vez que a segurança é mais “amiga” da simplicidade do que do conforto. O excesso de automação. além de gerar vulnerabilidades operacionais, pode afastar os operadores e pilotos do entendimento cotidiano dos fenômenos físicos, químicos que estão envolvidos em suas atividades técnicas. O mais importante para a segurança é agir conscientemente, entendendo o fenômeno e por conseguinte o cenário de cada instante da operação e do voo. A partir do momento em que os operadores e pilotos concentram sua capacidade cognitiva em entender “sistemas de automação”, alguma coisa está errada pois não é essa sua atividade fim. É bom lembrar que se existe uma automação ela foi construída com base na experiência anterior de pilotos que puderam fornecer parâmetros e informações para a construção das lógicas destes sistemas. Ou seja, a automação e os procedimentos operacionais reúnem o que se acredita ser o melhor do conhecimento acumulado sobre aquela atividade, mas não pode garantir 100% de solução para tudo que possa acontecer na realidade operacional. A atividade fim de um piloto ou operador de qualquer máquina ou instalação, é insubstituível e indispensável, além de sempre estar acima da importância da atuação de qualquer máquina. Investir na sensibilidade do operador em relação aos fenômenos com os quais lida, é investir em segurança. Uma lição aprendida fica deste acidente para a segurança de todos os empreendimentos tecnológicos. Níveis de automação devem ter limites. O cérebro humano bem treinado ainda é o melhor, mais sofisticado e eficiente equipamento para gerenciar crises em emergências. Estes são conceitos fundamentais que precisam ser enfatizados e incluídos na cultura de segurança adotada nos empreendimentos tecnológicos. Afinal, com o grau de evolução tecnológica de nossos tempos, os recursos de automação sempre oferecerão mais um passo em direção ã substituição do homem pela máquina. Não apenas em aeronaves, mas nas indústrias, usinas nucleares, e até em cirurgias através do uso de robos capazes de realizar cirurgias mesmo à distância. Não há nada de errado em toda essa tecnologia, mas caso os robos e computadores parem de fazer seu trabalho conforme projetado durante um vôo ou cirurgia, o cirurgião, por exemplo, deve estar preparado para enfrentar a proximidade com o pacientte, seus orgãos e seu sangue já que estes são os componentes que jamais deixarão de fazer parte de sua atividade fim. REASON, J. Human Error. Cambridge University Press, 2003. 302p. Although several other accidents such as Deepwater Horizon (USA), and P-36 (Brazil), no accident of the offshore industry has caused more deaths than Piper Alpha. The disaster was caused by a succession of failures. There was also a poor safety culture, which aggravated the consequences of the accident. 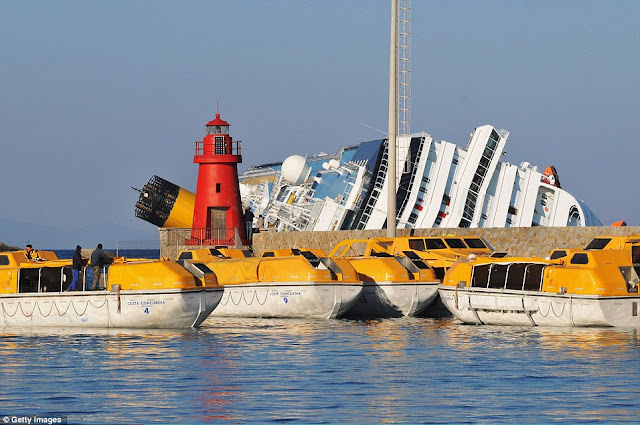 But the investigation concluded that the main cause of the high number of fatalities was the failure of the strategies and means of escape and abandonment. All the people who survived, had to disobey the original procedures. 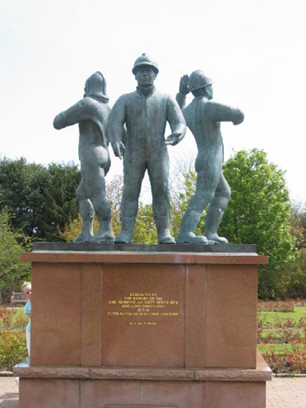 The Piper Alpha disaster has become a landmark in the history of offshore safety and many changes have occurred in the projects after the accident. 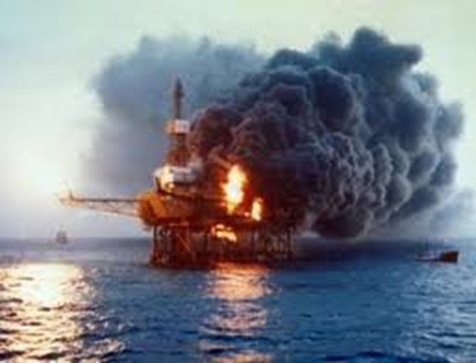 A study about Piper Alpha accident was presented at the "Seminar of the Biggest Fires in History" in The California State University, San Jose CA - USA. The seminar was coordinated by Professor David Krack and included studies on the major fires of history and is part of the post graduate degree in safety engineering of the Charles W. Davidson College of Engineering, . 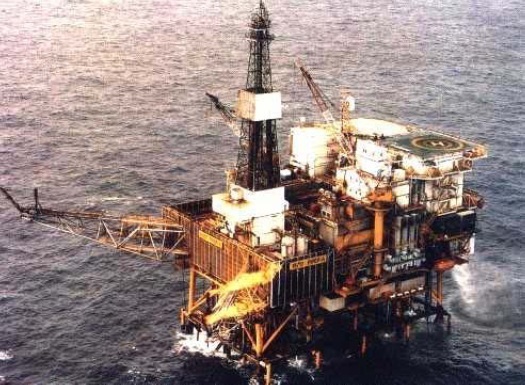 This platform, located in the North Sea approximately 110 miles from Aberdeen, Scotland, had 226 people on board at the time of the event, 165 of whom perished (in addition, two emergency response personnel died during a rescue attempt). The platform was totally destroyed. The disaster began with a routine maintenance procedure. On the morning of the 6th of July 1988, a certain backup propane condensate pump in the processing area needed to have its pressure safety valve checked. The work could not be completed by 6 pm and the workers asked for, and received permission to leave the rest of the work until the next day. Later in the evening during the next work shift, the primary condensate pump failed. None of those present were aware that a vital part of the machine had been removed and decided to start the backup pump. Gas products escaped from the hole left by the valve. Gas audibly leaked out at high pressure, ignited and exploded, blowing through the firewalls. 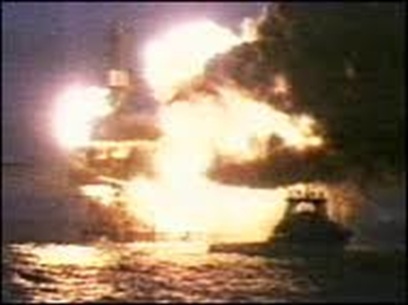 The fire spread through the damaged firewalls, destroyed some oil lines and soon large quantities of stored oil were burning out of control. The automatic deluge system, which was designed to spray water on such a fire in order to contain it or put it out, was never activated because it had been turned off. About twenty minutes after the initial explosion, at 10:20 pm, the fire had spread and become hot enough to weaken and then burst the gas risers from the other platforms. These were steel pipes of a diameter from 24 to 36 inches, containing flammable gas products at two thousand pounds per square inch of pressure. When these risers burst, the resulting jet of fuel dramatically increased the size of the fire. The accommodations were not smoke-proofed, and the lack of training that caused people to repeatedly open and shut doors only worsened the problem. Conditions got so bad in the accommodations area that some people realized that the only way to survive would be to escape the station immediately. They, however, found that all routes to lifeboats were blocked by smoke and flames, and in the lack of any other instructions, they made the jump into the sea hoping to be rescued by boat. Sixty-two men were saved in this fashion; most of the other 167 who died suffocated on carbon monoxide and fumes in the accommodations area. The generation and utilities module, which included the fireproofed accommodation block, slipped into the sea. The largest part of the platform followed it. The whole accident took place in 22 minutes. The accident was instrumental in bringing about the Offshore Installations (Safety Case) Regulations. 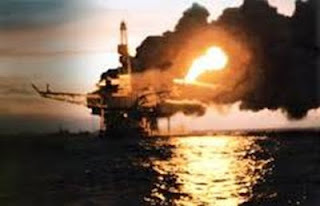 A safety case is a written document in which a company must demonstrate that an effective safety management system (SMS) is in place on a particular offshore installation. The implementation of this was handed over to the HSE in 1991. This was a system of paperwork designed to promote communication between all parties affected by any maintenance procedure done on the platform. The system on Piper Alpha had become too relaxed. Employees relied on too many informal communications and communication between shift changes was lacking. If the system had been implemented properly, the initial gas leak never would have occurred. 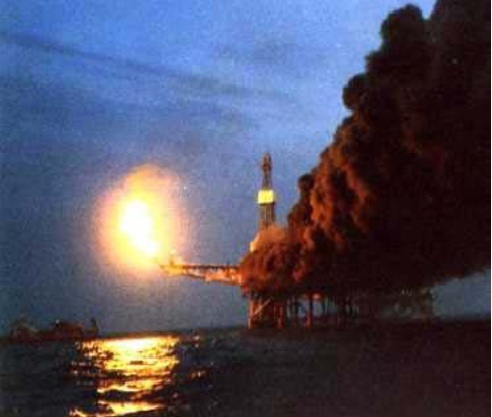 The Cullen report on Piper Alpha was highly critical of the management system in the company. 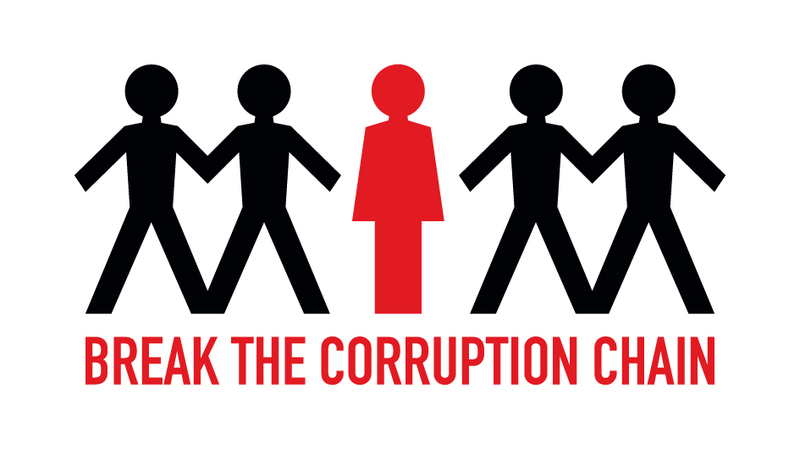 Managers had minimal qualifications, which led to poor practices and ineffective audits. 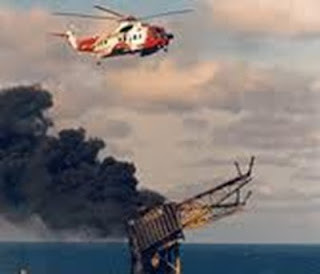 The workers on the platform were not adequately trained in emergency procedures, and management was not trained to make up the gap and provide good leadership during a crisis situation. The Company had regular safety audits of its facilities but they were not performed well. Few, if any, problems were ever brought up, even though there were serious issues with corrosion of deluge system pipes and heads and many other issues. When a major problem was found, it was sometimes just ignored. The disaster would not have occurred if the pump where work was being done had been positively isolated. Isolation is not achieved by shutting a valve but requires means such as insertion of a slip plate or removal of a pipe section. 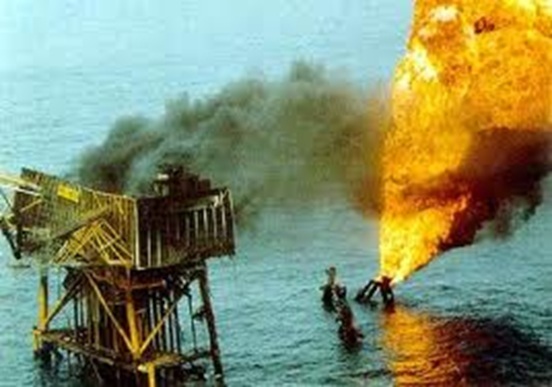 The large inventory of the pipelines connected to the platform fed the fire. 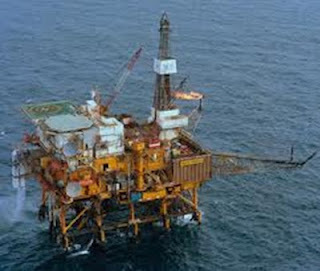 Despite technical problems, it should be a design objective to reduce the amount of hydrocarbons. Proper location of emergency shutdown valves and backup valves are essential to cutting off fuel supply in case of a fire; above water positioning provides testing accessibility for vigilant maintenance. Protection against and mitigation of fire and explosion as well as fire fighting are of particular importance as there is no possibility to rely on outside assistance, such as the fire brigade. Wind tunnels are useful to assess the effectiveness of the ventilation and the gas detection system. The explosion simulations help investigate the effect of different layouts on explosion overpressures and assess the effectiveness of blast walls. 1) Lees’ Loss Prevention in the Process Industries: Hazard Identification, Assessment and Control, ed. Mannan, S., 3rd edition, Elsevier Butterworth-Heinemann, 2005. 2) Learning from accidents, Kletz, T., 3rd edition, Gulf Professional Publishing, 2001. 3) The Public Inquiry into the Piper Alpha Disaster, Cullen, The Honourable Lord, HM Stationery Office, 1990.